I believe we each have the cellular or genetic memory of being in unity consciousness. Before the great experiment that brought us here, we lived in that very resonance, we know it…it’s us! We have forgotten, on purpose, we agreed to it as part of the experiment; and now that we are beginning the group soul migration back home, we must remember that being in unity consciousness is our natural state of being. I wonder if the reason some people are so irritable and negative is because deep in their heart they remember being in unity consciousness, and they don’t remember how to get back into the flow of universal energy which is unity consciousness. That’s why its so very important for the rest of us to be pathfinders and way showers right now, to help with this great awakening every way we can. Think for a moment about that electromagnetic field your heart generates, extending several feet in all directions…it can and does affect the thoughts and emotions of those in proximity to us. Suppose we fill our hearts with the vibration of unconditional love and unity consciousness and pass that along silently to everyone we meet as our hearts communicate with the hearts all around us. Now imagine that spreading from person to person…all around the planet, like a wonderful virus called love, sound good to you too? If it helps, just think of it as homework: the work we must do to get all of us home. Perhaps where using words doesn’t get the message across as we’d like, maybe filling our hearts with love & unity will convey the message faster and better, not unlike that new smart phone app that lets you instantly transfer data to another phone simply by being in proximity. That is the Heart of Unity Consciousness. Welcome to the World of the Fifth Sun. …and please be good to each other! In the light of my personal journey and some revelations of the past several months, I was finally guided to understand something I've not been given to or allowed to know all these many years of preparation. Despite the continuous asking and my body's senses and nervous system shutting down by degrees over the years. Amongst many other things, I now have absolutely NO taste and NO sense of smell at all (both are connected to the olfactory nerve endings/bulb and brain's frontal lobe). I also have a nervous system that DOESN'T perform many usual bodily functions, but DOES do lot of other unusual ones. And that's just the tip of the iceberg on this count. Coming across Sierra Neblina, her life experiences were very validating for me. Besides the many and varied ascension symptoms I've been through, since November it's been made clear that many of these ongoing tests and tribulations (read: torment) have also been for the prepping of something else. And that is that I volunteered myself years ago to become a Braided Walk-In. It's one of numerous soul agreements available on the planet right now for those wanting to serve. This process of Braiding has created the craziest list of symptoms at every level for me (yes, I know, I've agreed to it all at my Loony/Higher Self level!) and is only NOW starting to make sense as to the whys. And knowing why to anything, for those experiencing similarly just makes whatever the process is, that much more bearable. Well, at least it has a few degrees more for me. But concurrent to these latest discoveries have been yet another potent initiation that's come up for me in a testing of discerning extensively 'gifted' Dark Arts practitioners who have come into my space. And more importantly, knowing how to effectively deal with them in a relatively short space of time. And with the clearing of that experience, arrived yet another particularly potent blast of the Wave, while continuing to work on healing an ancient blockage. So, all in all, you can see I'm not quite ready or in the place to disclose further details on my Braiding experience yet, but will be soon. And will then explain why I've chosen a blending-merging-braiding experience with another soul and who that is. I've found Sierra's story very helpful with all this, though. And in general on the subject of galactic and higher dimensional walk-ins. May you get something out of her experience and perspective, too. Walk-Ins – What Are They? Why Are They Here? Over the past two years I’ve been approached by many people looking to understand what a Walk-In truly is. There are many people in the world that don’t know that they even exist. It’s a relatively new phenomenon, especially the new types of Walk-Ins that are showing up here on the planet. I admit that even though I am a Shaman, Intuitive and Medium – I too did not know, or could even grasp the concept of a Walk-In, until one day I found myself faced with making that choice. For some clarification let’s first distinguish what a Walk-In is. A Walk-In is the exchange, in part or in whole, the souls of two beings within the same body whereby the soul of the current (human) being is either exchanged with the soul of another, or is present in conjunction with another being in the same body. Before beginning with the original or Replacement Walk- In, we should cover the rules. First and foremost there will never be any negative energy or lower-evolved Soul allowed to come into a previously-inhabited body. So any aspect of the Walk-In experience is covered by this cardinal rule. The Replacement Walk-In comes when the soul of the person has fulfilled its mission and there’s an opportunity for the soul of another being to ‘walk-into’ the body of the soul departing. This is where the term “Walk-In” originated. This is a pre-arranged agreement by both parties prior to the incarnation of that person. In some cases, it’s not a pre-arranged agreement, as is seen when a person endures a major illness or accident. When death is imminent or has occurred, the person is brought by the Guardians, into a holding room and given choices. Among those choices is the Walk-In experience. With the Replacement Walk-in choice, the person leaves completely and allows the incoming Soul to complete a mission or task that has to do with the evolution of the planet. This is a choice presented to the person and the incoming Soul that is given the opportunity to carry on within the person’s body. The second Walk-In experience is the Oversoul Walk-In, in which the higher soul of a person is integrating in a much grander way with the Human vessel. We’re but a glimmer, almost a holographic representation of our Higher Soul down here in the Third Dimension. With the limitations of the Third Dimension we cannot fit or carry the entire essence that is our Higher Self into ourselves. In these cases, a person can feel at first that they are having an integration experience of an extraterrestrial or other-worldly Soul, but after the integration experience itself, one comes to understand that they are physically carrying a greater aspect of themselves, now here to carry out very important missions on the planet. The third Walk-In experience is the Braided Walk-In experience. This is the most complicated and potentially dangerous for the two Souls, of the three instances of Walk-Ins. This is where two Souls are able to co-habit in one body. There’s a great deal of work needed to upgrade the Human body to allow the higher-evolved consciousness of a Being outside the Third Dimension to enter into the body of the human. It also takes the intense and rigorous training of both Souls to learn how to co- habit with out harming the other. It’s a potentially long and arduous integration process and both parties have to be highly trained before attempting such an integration. I know it seems complicated and even dangerous, but rest assured, there are guardians present making sure that there are no negative souls or spirits ‘jumping’ into bodies of people without permission. I think that this is what lies at the heart of the fear that some people have with regards to this somewhat new idea of an exchange of souls in one body. But rest assured, no such things are allowed to happen.We have a short period of time left before the shift, and the most kind and loving souls are the ones volunteering to take the place of an outgoing soul, to assist in this great time of transformation. It’s one of the great Balancers that have been put in place. To truly understand the sacrifice these Souls are making we need to cover the different levels of Volunteers. Many different levels of Volunteers have been allowed to interact with the human race to ensure the Ascension of the planet and all her inhabitants. 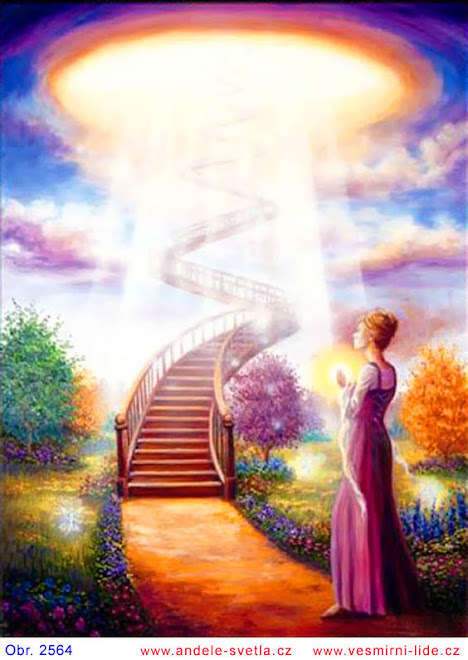 First, there were the Channels, human beings so connected to the light that they brought messages from many sources ranging from Extraterrestrials to Ascended Masters to Angels and even God. Their mission, in the beginning, was to bring you the much-needed information to prepare for the Ascension. As the time of Ascension raced towards us, and the people were not waking up fast enough, another level of Volunteers were sent – they’re called Starseeds, beings that have already evolved past the Third Dimension, but out of their love for Humanity, volunteered to be born back into the Third Dimension and into a body, to be able to physically ground the energies needed to wake people up ‘from the inside out’. Because our Galactic Brothers and Sisters along with the Angelic realm cannot directly interfere, there had to be a crafty solution to the desperate need to wake us up ‘from the inside’. So these Starseeds came here, not really fitting into the normalcy the majority of the planet experiences. They knew themselves to be different, but they came awake themselves at different times as to fulfill many rolls to help prepare Humanity for the Shift. After some time it was obvious that there was still a need for more Volunteers to come to the planet. We started to run out of time and it was starting to be serious, so serious action was needed. There was a plan devised to send more Volunteers to the Planet by making available the opportunity for souls to leave and let others come down to carry out missions, thus the Walk-In wave of volunteers came into being. My experience falls under the “Braided Walk-Ins”. I firstly was a Starseed from birth, picking the bloodline and family I would be born into. I came into this world with a great deal of consciousness. I had many gifts from the moment I arrived which I maintained while being here on the planet. I was born to a Cherokee Medicine line and had the gift of sight. I had prophetic Dreams and Clairvoyance. I saw through the veils, so I could see Spirits and Angels. I also carried a large portion of memory of why I was here and I developed my gifts and steadied myself on this earth existence. 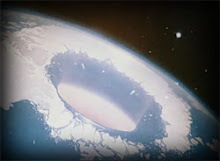 I chose a situation to be born into that had an involvement with the Military and the hybrid experiments they were involved with, so I could later shed light on what had been happening to people on the planet in violation of free will. I grew to have a strong idea of why I was here and my strength as a healer was improving rapidly. Until one day I suffered multiple massive strokes. I was not supposed to survive them. I was not supposed to recover from them. And at the moment I was to die I was approached by the Guardians, and I was given the opportunity to complete my mission here on the planet. I was given the opportunity to accept a Walk-In. In exchange for this, I would have my body healed. While in the Great White Hall, I was shown what would be result of every choice I had, and I was faced with three choices. The first, was the choice to die and relinquish my body and my mission here on the planet. The second was to let another soul come into my body, replacing my soul, to help the planet at this great time of change. The third and final option was to accept an Integration with an Extraterrestrial Being, co- habit in the same body and be able to fulfill my mission. There was a warning; the integration process for a Braided Walk-In would be risky for both myself and the Being attempting to come in. If successful, my body would be healed, and I would have a tremendous expansion of my consciousness and I would be able to see through to the end my purpose here on the Planet. Well, needless to say, that after all I had endured to come to the planet and be born into a human Third Dimensional body, I wasn’t going to give up that easy. So I chose the Integration, and all that has come out of it. The process was long and arduous. It was very difficult for myself and the Extraterrestrial Being that chose this path with me. But I’m happy to say that we both are here, and we are doing very well. I am happy to announce that I will be posting regularly to the 2012 Scenario blog site with more Walk-In experiences and more poiently my ongoing personal Night Time Work as a Braided Walk-In. Thank you, it is a deep and profound honor to be a part of this 2012 Scenario Blog site team.